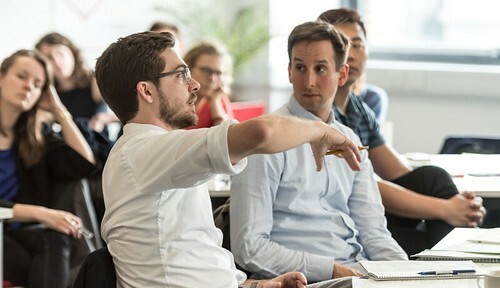 In this post, the Teaching and Learning Centre’s Dr Ellis Saxey shares tips on encouraging students to speak up in seminars and make whole-group questioning rewarding for students and teachers. 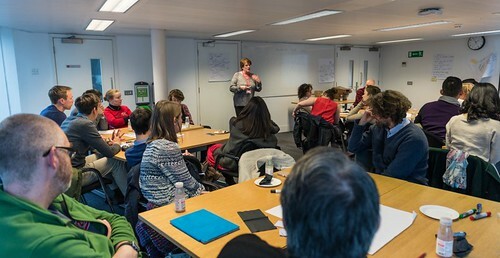 Whole-group discussion, with prompting questions from a teacher, is a staple of teaching in Higher Education. When it works well, and students contribute and participate, it’s invigorating. You can hear students engaging with the discipline, check how a cohort is progressing, and guide students into deeper understanding. It can make students more precise in their thinking: a student has to firm up their ideas in order to articulate them. It also gives students a more accurate sense of their own understanding (I’ve often been persuaded by a good lecture that I understand a topic, and it’s only when I repeat concepts to a friend that gaps are evident). But a round of whole-group questioning can founder, or the responses dwindle to an enthusiastic few. Students have as many motives not to contribute as we have reasons for them to do so, as this previous blog post explored: they fear interrogation from tutors and judgment from their peers; they don’t speak quickly enough, and another student answers. The following suggestions aim to support student contributions, making your seminars even more inclusive and active. If a small number of students reply quickly and often, they can start to dominate the class, while other students become spectators to the conversation. It’s a tricky situation, as you don’t want to dismiss keen responders. You could explicitly ask for contributions from those who’ve not spoken, but that can increase self-consciousness. More covert ways to vary respondents can be effective (Can we hear from someone on this side of the room, this time?). You can put in place a routine, such as moving round the room and taking a contribution from each student. Tutors often use quick questions to catch student attention, which they then answer themselves (And what happened next? The revolution!). It’s a neat rhetorical device, but students can become unsure whether the tutor is about to answer any given question. If you often get slow and tentative responses, try flagging your questions more clearly: use pauses, pace, a rising inflection, body language, or overt marker phrases (such as tell me). You could also consider the types of question you ask, and the effects they have. Tutors often balance open-ended questions with close-ended ones, and simple tests of factual recall with more complex requests for application and analysis. A 2013 article by Tofade, Elsner and Haines outlines more question types, including ‘focal’ (requiring students to justify a position), ‘brainstorming’ (generating many suggestions), or ‘funnelling’ (a series of questions starting broadly, then focusing). The other half of the puzzle is rewarding student contributions. For even the briefest contribution, the student has risked exposing their ignorance. Saying thanks, or great/that’s useful/precisely, recognises their effort. Even a nod or a smile can encourage further participation. A tutor will also benefit from having upbeat and constructive responses ready to respond to incorrect contributions. I’ve described quick adjustments that can be made to seminar discussion, but it’s also possible to move away from that format entirely, or intersperse it with other approaches. There are also many ways to gather in non-spoken student contributions, including via written notes or online spaces. You can plan activities with outputs which have the same benefits as spoken contributions: concretising student understanding, and making it visible to both the tutor and the student. Do contact your Academic Adviser at TLC, whether you’d like to refine your group discussion tactics or try something different. Very informative stuff! Great effort you have done by publishing this post and this is defintely helpful for our https://qanda.typicalstudent.org/ team. Thanks for sharing this informative stuff with readers. It is observed that in the classroom discussions students learn many things and have a confidence level to speak in front of many students which make them feel confident. I think this should be very must in the classroom to start discussions so, that students can participate in this. Moreover, there are many ways to gather non-spoken student contributions, including via written notes or online spaces. Thank you so much to share the great stuff with us.